Who hasn't heard the term "IRS" and felt at least a little frisson of tension down the spine? The Internal Revenue Service is the agency that collects tax revenue for the federal government. It has the entire force and power of the United States behind it, and pretty much every citizen has to deal with it at least once a year in one way or another. It's the entity that's behind all those deductions in your pay and those quarterly estimated tax payments you make if you're self-employed. It has rules you must follow. But that's the big, broad, vague picture. Here's an overview of how the agency functions, as well as some resources you might need if you ever have to deal with the IRS on more of a one-to-one basis. Who's in Charge of the IRS? The Commissioner is the chief executive of the Internal Revenue Service. Commissioners are appointed by the President of the United States and approved by the Senate. Commissioners serve five-year terms and are responsible for overseeing all operations of the IRS from the processing of tax returns to the collection of taxes. They enforce tax laws and interpret the tax laws written by Congress. How is the IRS Organized? The Internal Revenue Service is organized around divisions that focus on particular constituents. There are four divisions: one deals with individual taxpayers, another with small businesses, another with mid- to large businesses, and one deals with nonprofits. These operational divisions focus on routine activities like processing tax returns, communicating with taxpayers, conducting audits, and collecting taxes. Around these four divisions, other departments deal with a range of services that impact the entire IRS. These include information technology, criminal investigations, and various support services for the entire agency. What's the History of the IRS? The Internal Revenue Service began in 1862 as the Bureau of Internal Revenue and was disbanded after income tax laws were repealed following the Civil War. Then the 16th Amendment was ratified in 1913 and the IRS was subsequently recreated. The 16th Amendment gave Congress the authority to tax income under the terms of the U.S. Constitution. What's the Official Website of the IRS? The official website of the Internal Revenue Service is www.irs.gov. There are a lot of knock-off websites that end in .com, .org, and other domain suffixes. Don't be fooled. The only official website is the one that ends in .gov. You can call the Internal Revenue Service with general questions about taxes, with questions about your specific tax return, or to resolve any problems you might have. The phone number for inquiries about personal income taxes is 1-800-829-1040. For inquiries about business taxes, call 1-800-829-4933. There's a separate department within the IRS that deals with identity theft issues, such as if you believe someone else has filed a tax return using your name or Social Security Number. The identity theft hotline number is 1-800-908-4490. The IRS uses different mailing addresses for various kinds of tax returns, other documents, and payments. Where you mail your paperwork depends on the state in which you live and whether you're also remitting payment of any taxes you owe. A full list of the addresses with guidelines as to which to use is available on the IRS website. The Internal Revenue Service has local offices all over the United States. You can drop off tax returns, make payments, obtain tax forms and publications, and get help with your tax questions at these Taxpayer Assistance Centers. The IRS also maintains a handful of offices in foreign countries. You can find preprinted tax forms, instructions, and publications at local IRS offices and often at public libraries as well. They're also available on the IRS website. Online versions of the forms are formatted in the Adobe Acrobat PDF format so you'll need Acrobat Reader to view and print them, but it's readily available and it's free. You can also find archived versions of forms and instructions for previous years on the website. The IRS provides a limited number of online services through its website. You can track the status of your federal tax refund or figure out an appropriate level of tax withholding by using their Withholding Calculator. There are also links to free Web-based tax preparation software. But you can't "login" to the IRS website to find out more specific details about your taxes—at least not yet. Stay tuned. Can I File a Tax Return Directly on the IRS Website? Currently, you can't file your tax return directly on the IRS website. You must file it either by mailing it to an IRS processing center or by transmitting your return electronically using tax preparation software. Local tax accountants can also file your return electronically through their software. The IRS provides links to free web-based tax preparation software for individuals who qualify for their Free File program. What Can I Do If I Can't Afford to Pay My Taxes? Taxpayers have several options for dealing with IRS tax debts. You can set up a monthly payment plan called an installment agreement by using the Online Payment Agreement Application on the IRS website. You might also be eligible to defer payments for a period of time if you're facing financial hardship. Taxes can be settled through an offer-in-compromise or can sometimes be discharged through a bankruptcy proceeding subject to certain rules. What Can I Do If I Need Extra Help in Dealing with the IRS? Taxpayers often find they need extra help in dealing with the Internal Revenue Service. There are a number of resources available. Some people might qualify for free help from a tax clinic. These are publicly funded non-profit organizations designed to help people resolve their tax problems. You can also contact the Taxpayer Advocate Service if you've been unable to resolve your problems directly with the IRS, or you can seek the help of a qualified tax accountant or tax attorney. Where Can I Find Updates From the IRS? The Internal Revenue Service publishes news, updates, and information on various pages on its website. The IRS Newsroom covers recent changes in tax deductions, tax credits, or news of general interest. 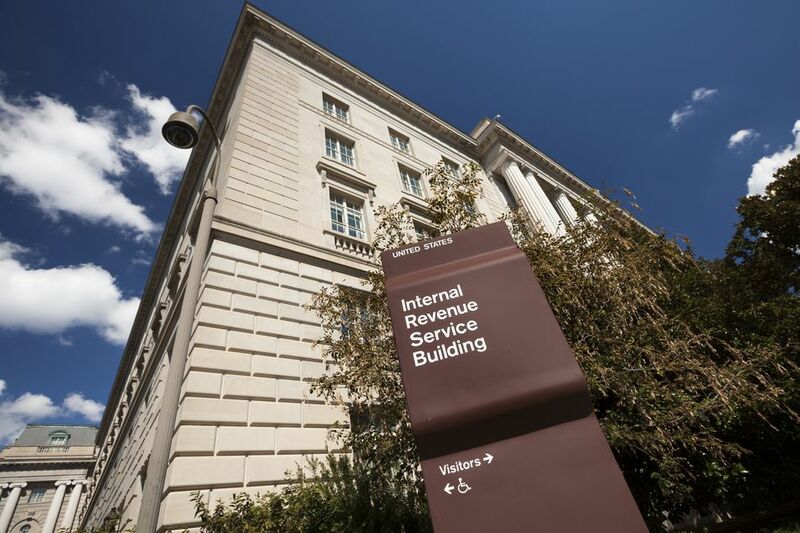 The Internal Revenue Bulletin provides a weekly compilation of official announcements regarding official procedures and decisions issued by the IRS. And the FOIA Reading Room provides access to a wide variety of internal documents and private determinations made by the IRS. Quantitative data about income, the number of tax returns filed, revenue collected, audits, and other enforcement action are published by the Statistics of Income Division. Where Can I Find News About What's Going On at the IRS? A variety of newspapers cover the Internal Revenue Service. The Chicago Tribune website collects news reports about the IRS from the Associated Press and other newspapers around the country. The New York Times provides an index of its own news about the IRS, and the Transactional Records Access Clearinghouse at Syracuse University provides in-depth reports about IRS operations through its TRAC-IRS website. That site covers a wide variety of issues, including audits, criminal investigations, income by county, and geographic variance in enforcement activities. The IRS isn't actually a formidable Goliath hiding in a cave, waiting to pounce on you. Personnel are available to help you with your needs and they're always glad to do so. It's just a matter of knowing where to seek help.